Can I Lose My Security Clearance Due to a Disability? Keeping your government security clearance may be a problem if you suffer from certain physical or mental disorders that affect your ability to perform certain work-related tasks. Although federal law generally protects employees with disabilities from retaliation–and in fact requires agencies to make “reasonable accommodation” for such individuals–that does not apply to the granting or revocation of security clearances. And if your security clearance is revoked due to a disability, your options for review are severely limited. Consider this recent decision by the U.S. Tenth Circuit Court of Appeals. The plaintiff in this case worked for the Department of Energy as an “emergency operations specialist” at the National Nuclear Safety Administration, which oversees the nation’s nuclear weapons arsenal. The core function of the plaintiff’s job was to “answer 911 calls and relay GPS locations, mile markers, and other directions to and from nuclear-convoy commanders,” according to court records. Understandably, the plaintiff’s position required a security clearance. He also needed to maintain certification under the Human Reliability Program (HRP), which is a Department program that evaluates the “physical and mental suitability” of all employees who work with nuclear materials. Here, the plaintiff initially obtained his HRP certification and security clearance without issue. However, about five months into his new job, the plaintiff had difficulty reading a required daily report at a meeting. Specifically, the plaintiff “confused the origin and destination cities of mission convoys and mixed up letters and numbers within mission-identification codes.” The plaintiff’s supervisors suspected he had a reading disability and ordered a medical evaluation. The Department’s psychologists subsequently concluded the defendant suffered from Mixed Receptive-Expressive Language Disorder. Due to this disability, the Department revoked the plaintiff’s security clearance and terminated his employment. 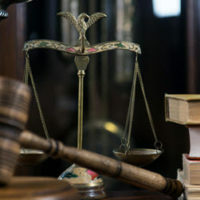 The plaintiff sued the Department in federal district court, alleging both violation of his due process rights and the federal Rehabilitation Act. The latter requires an agency to reasonably accommodate a disabled employee. In this case, the plaintiff said he would accept reassignment to any job–including a “janitorial position”–but the Department refused. That said, the Tenth Circuit also said the plaintiff could still pursue his Rehabilitation Act claim over the Department’s failure to accommodate him. The Court noted the plaintiff had “identified 29 vacant positions” at the Department that he could perform, “none of which required HRP certification” or a security clearance. If true, the Department could be liable for not giving him one of those positions. Security clearances often require employees to meet a number of certification requirements, such as the Energy Department’s HRP. If you are having problems with obtaining or maintaining your certification, an experienced Maryland security clearance lawyer can help. Contact the offices of Henault & Sysko, Chartered, today at 410-768-9300 to speak with a lawyer today about your security clearance issue.